Nestled in the quiet Oliver neighborhood this condo offers walking distance to Oliver Square and the new Brewery District! That means grocery stores, restaurants, cafes, and major retail are all within steps!! 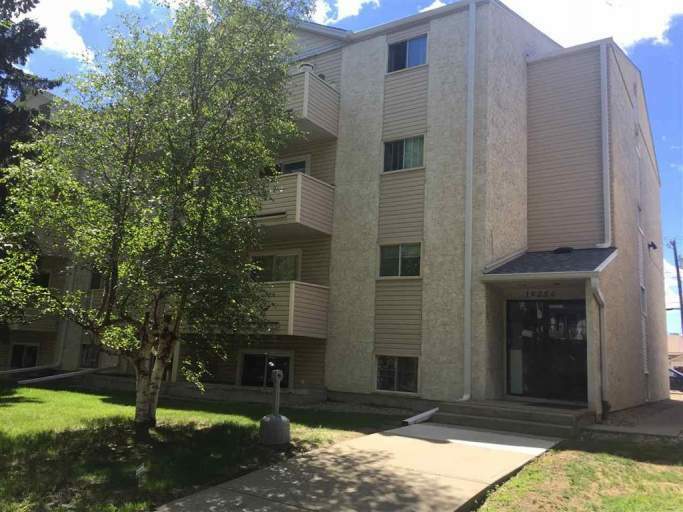 Plus, accessing the Downtown Core, Macewan University, NAIT and even the U of A is breeze with major transit and commuting routes nearby. And the famous River Valley with biking and walking trails is just five minutes away! Inside this amazing condo you will find a gallery style kitchen complete with updated counter-tops, glass-tile back-splash and ceramic flooring. The kitchen offers a full-size fridge, stove and even a dishwasher and has enough cupboard space for all your needs. Off the kitchen is a large dining area perfect for a kitchen table! The living room boasts laminate flooring and tons of natural light as access to the balcony is through large glass sliding doors. Down the hallways is a spacious bedroom with laminate flooring and tons of closet space. The full bathroom was recently updated and offers a modern vanity with a large tiled shower. Plus, the unit has tons of storage space! One outdoor parking stall is included in the rent. Plus, heat and water utilities are included, meaning you only pay for power! And the building offers laundry machines on every floor!